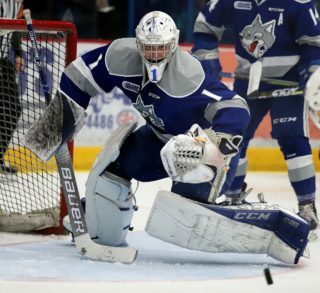 The Sudbury Wolves made their second big trade of the day today by acquiring 19-year-old forward RADEK FAKSA from the Kitchener Rangers. Faksa was drafted in the 1st round of the 2012 NHL draft, 13th overall by the Dallas Stars. Faksa is a native of the Czech Republic and recently participated in the World Junior Championships in Sweden for the Czech U20 team. 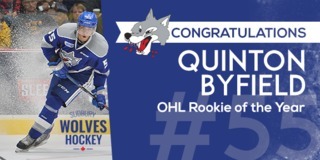 The big 6’3”, 210 lb forward has signed an NHL contract with the Dallas Stars and will conclude his OHL playing career with the Sudbury Wolves. Faksa has 16 goals and 11 assists for 27 points in 30 games with the Rangers this season. Faksa sits in third place in team scoring on the Rangers. 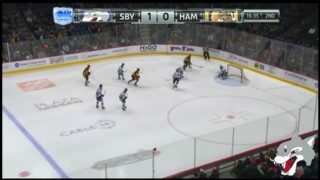 Faksa scored 29 goals in his rookie OHL season with the Rangers and added 37 assists for 66 points in 62 games – during the 2011-12 OHL season. 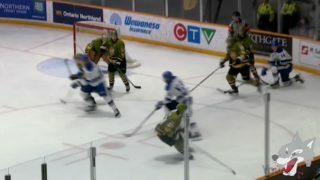 In return for Faksa, the Wolves sent 18-year-old forward DOMINIK KUBALIK and two 2nd round draft selections to the Kitchener Rangers in 2014 and 2016. Kubalik, 18, has 13 goals and 10 assists for 23 points so far this season. The Czech Republic native was drafted in the 7th round of the NHL draft by the LA Kings organization in 2013. 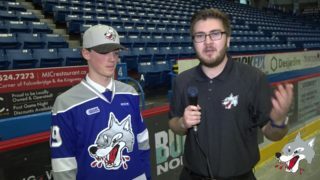 The Wolves will showcase their new players to Wolves’ fans tomorrow night when the Wolves host the Mississauga Steelheads at 7:30 at the Sudbury Arena. There are plenty of great seats available at the door and fans can purchase their tickets in advance by calling 705-671-3000.